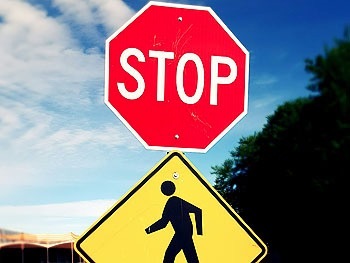 Monday night, May 22, the Portsmouth Town Council will hear two agenda items that bear on the safety of children in town: speeding in Island Park and concealed weapons in our schools. A group of Island Park residents have raised concerns about speeding on Cottage Avenue in Island Park, and have circulated a petition with 30 signatures (including Portsmouth Police Chief Thomas Lee) requesting the Council implement traffic slowing measures and increased enforcement. "We have 16 children that live on our street," says an e-mail to the Council from organizer Jennifer Weiffenbach, "The posted speed limit is 15 miles per hour. Yet we regularly see divers going both directions from 25 to 45 mph and higher." The petition asks the Council to consider speed bumps or stop signs at the (currently uncontrolled) cross streets. This legislation — which was supported by the Portsmouth School Committee in March — clarifies a conflict in state law. Although there is currently a "no guns in schools" law on the books (RIGL 11-47-60) there is language in the state's concealed carry provision which appears to contradict this exclusion (RIGL 11-47-11). Monday night would be a good time to show up at the Council for our kids. Update: Both measures were approved by the Council. Councilors heard a presentation from three Island Park kids, questioned the PD and DPW, and decided on stop signs at Walnut and Chestnut streets. The resolution supporting the NGIS bills was passed after a statement from School Committee chair Terri Cortvriend and a few words from this reporter. There are two items on the Portsmouth Town Council agenda this evening that could use the support of folks who want to promote a progressive agenda. Back to back items for consideration are a request by the Aquidneck Land Trust (ALT) to help conserve the Spruce Acres Farm, and a plea from the Aquidneck Island Planning Commission (AIPC) for the Town to pay up on their support. The ALT proposal is $300K (to be split over two years) to enable purchase and conservation of 22.6 acres of farmland on the Portsmouth/Middletown line. This is not just good for environmental reasons (although it does help protect our watershed), it also makes good sense economically, since a subdivision at this location would add to town infrastructure costs. For AIPC, the case is even simpler: the town has been withholding its promised annual payments to the island-wide planning group, demanding an audit. Voices on the right have objected to the AIPC on tin-foil-hat conspiracy grounds (basically, anything that smacks of "planning" triggers these folks). 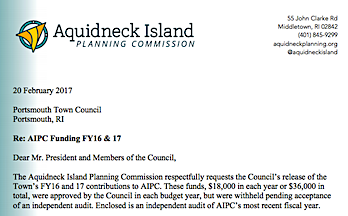 The AIPC has been responsible for bringing in over $2.5M in government and private funding for island planning efforts over the last two years, and yet the Republican-led Portsmouth town council has been stiffing them for $36,000. You can read the briefs linked above, and if you can make it to the meeting to support these items, it will make a big difference for our town. If you can't make it, you can always drop an e-mail to our Town Council. Here's a sample you could copy and paste to get you started. As a resident and taxpayer in the Town of Portsmouth, I'm writing to urge you to support the requests by the Aquidneck Land Trust and Aquidneck Island Planning Commission scheduled to be heard on Monday, February 27. The ALT proposal would be a valuable addition to the conserved properties in Portsmouth, and would help to maintain the character of our town. The AIPC has done great work supporting all the communities on Aquidneck Island, and deserves our support. Now that they have provided audited financial statements, there is no reason not to release their funding. Thanks very much for your support of these important efforts. At last night’s executive session meeting, the Portsmouth Town Council unanimously approved a settlement agreement with the plaintiff, R.I. Nurseries, Inc., in the litigation resulting from the Town Council’s 2011 abandonment of the “paper” public road known as the “Heidi Drive Extension,” the town announced in a statement today. In exchange for a release of liability and dismissal with prejudice of all claims against the Town of Portsmouth and the members of the 2011 Town Council, R.I. Nurseries will receive a settlement payment from the Town in the amount of $800,000. The settlement agreement was reached after a lengthy mediation and negotiation process with retired R.I. Supreme Court Chief Justice Frank J. Williams as the Mediator. Both Chief Justice Williams and the Town’s special litigation counsel, Marc DeSisto, recommended the terms of the settlement agreement. In 2010 the Planning Board granted R.I. Nurseries master plan approval for a 14-lot residential subdivision on its farmland to the north of the alpaca farm known as “Glen Ridge Farm.” At that time, Glen Ridge Farm was part of an existing residential subdivision which included the Heidi Drive Extension. The Planning Board required that the paper road be built as a gravel gated road for emergency access to the new subdivision. The owners of Glen Ridge Farm objected and petitioned the Town Council to abandon the paper road under Rhode Island’s road abandonment statute. The Town Council held a hearing pursuant to the abandonment statute. The Council determined that the paper road had “ceased to be useful to the public,” and voted to abandon the road. The Council also held a hearing under the statute to determine and award the amount of damages that R.I. Nurseries, as an abutter of the public road, would sustain as a result of the abandonment. The Council awarded zero damages to R.I. Nurseries. A decree of abandonment was then entered and the public road became the private property of Glen Ridge Farm. 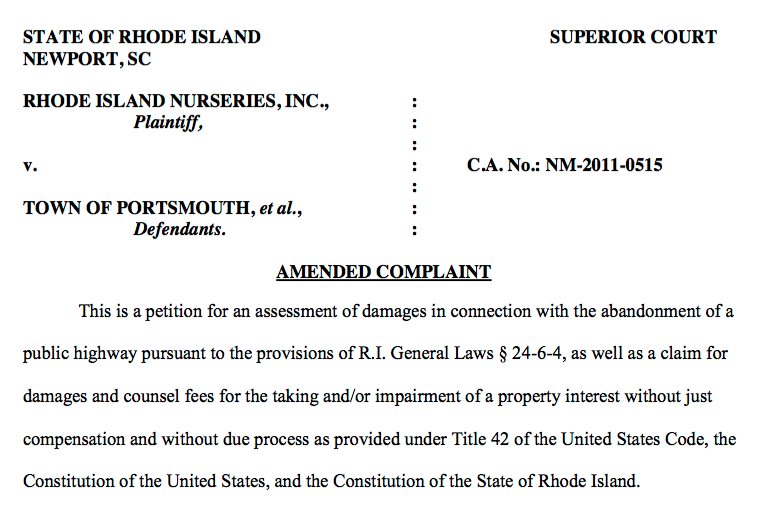 R.I. Nurseries filed a lawsuit in Newport Superior Court seeking to have its damages assessed by a jury, as provided by the abandonment statute. R.I. Nurseries’ complaint also alleged a violation of its constitutional rights to due process and other claims against the Town. R.I. Nurseries alleged that as a result of the abandonment it was forced to incur substantial additional costs to construct an alternative second access road as later required by the Planning Board, together with additional cost for permitting, a loss of a portion of its land for building the alternative access road, and a diminution in the value of its new subdivision. It also claimed pre- judgment interest and attorneys’ fees. 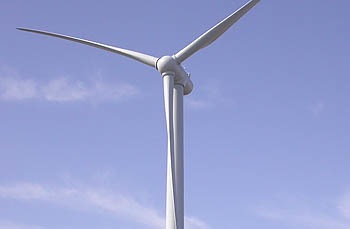 Next Tuesday, the Town Council will hear a proposal to replace Portsmouth's ailing wind turbine in a package deal where a private developer would pick up the cost and pay back the Town's loan for the existing machine, according to an agenda item posted on the town web site. Based on a Letter of Intent posted as backup, the private company, Wind Energy Development, LLC, of North Kingstown, would remove the existing device, pay the town approximately $2M, install a new 1.25 mW direct-drive unit, and assume operation and maintenance responsibility. In return, the Town would grant WED a 25-year lease on the turbine site for a nominal $1/year, levy no tax on the machine, and commit to purchase electricity from WED at the current retail rate from National Grid, with a guaranteed floor. You can read all the additional details in the LOI, available on the Town site. For the first time in history, Portsmouth, RI has achieved the highly acclaimed triple-A rating following a review by Standard & Poor's Rating Services on the Town's outstanding general obligation bonds and long-term rating, according to a news release distributed this afternoon by John Klimm, the Town Administrator. In the release, Town Council President Jim Seveney said, "This is particularly rewarding given the financial challenges we have faced the last few years and is affirmation that the Town is moving in the right direction. The AAA rating reflects our absolute commitment to honor our fiduciary responsibility to our residents and taxpayers and is a reflection of the hard work of our Town and school leaders over the last two years." S&P credit analyst Timothy Little is quoted as saying, "The stable outlook reflects our view that management will remain proactive and make the necessary adjustments to produce at least balanced operations as it has demonstrated while adding to available general fund reserves." Little goes on to say, "We do not expect to change the rating within the two-year outlook horizon." "The basis for the rating upgrade was attributed in part to our strong management, financial policies, and our consistent ability to maintain balanced budgets while increasing our fund balance," Klimm said. the AAA rating is the highest a community can receive, and reflects the Town's sound financial management, according to the release. Only a small percentage of communities throughout the United States have an AAA rating. Portsmouth becomes only the second RI community to obtain an AAA rating. In nearby Massachusetts, only 29 of the 351 communities have an AAA rating. A Triple-A rating has a direct and positive impact on the Town's residents. Funds borrowed carry a much lower interest rate due to the AAA rating. Jim Lathrop, the Town's Finance Director, said, "This is Portsmouth's financial report card, and it is nothing but A's. It is gratifying to work for a community that takes its financial health seriously." Editorial note: Written (with glee) from a press release. 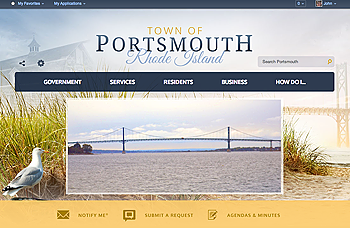 The new Portsmouth web site. The Portsmouth Business Association (PBA) would like to formally state its objection to the Portsmouth Town Council’s decision to award a contract without giving local businesses an opportunity to bid. The Town Council has contracted a website design firm, CivicPlus, based in Manhattan, Kansas to redesign the Portsmouth town website. Local businesses were not notified of this project or were given a chance to bid. While the town council is not in violation of any rules or regulations, the PBA does not believe that the Town Council has acted in the best interest of Portsmouth residents and local businesses. The PBA, a volunteer-based organization founded by members of the local business community in 1993, aims to create a positive business environment which benefits both its members and the community as a whole. The PBA believes small businesses are the backbone of a community like ours and should get major consideration in all town decisions. L-R Liz Pedro, Jim Seveney (Council President), Mike Buddemeyer, John Blaess (VP), Molly Magee, David Gleason, Keith Hamilton, RI District Court Associate Justice J. Terence Houlihan, Jr.
L-R Emily Copeland, Terri Cortvriend, Andrew Kelly, John Wojichowski, RI District Court Associate Justice J. Terence Houlihan, Jr.
Full res cc-licensed pix up on Flickr. According to an e-mail this morning from the Town Clerk, the swearing in of Portsmouth's new Town Council and School Committee will take place next Monday, November 26 at 7pm in Town Hall. The Portsmouth Girl Scouts will conduct the flag ceremony, followed by an invocation by Father Gray. The new elects will be sworn in by the Honorable J. Terence Houlihan, Jr., State of Rhode Island District Court Associate Justice. The Portsmouth Town Council, at last night's meeting, received Chairman Sal Carceller's report from the Charter Review Committee (CRC) proposing amendments to the Town Charter, and scheduled a public workshop for 7pm on June 18. With the obligatory 5Ws and an H out of the way, I can now explain what actually happened. If you are a fan of George Romero's films, you will understand that his "Dead" series is not really about zombies at all: it is a large, evolving metaphor about life in America, where the zombies play the role of the uncomprehending mass of the ignorant doomed, among whom (sometimes flawed) heroes struggle to maintain niches of sanity and autonomy. "Night" was about the 60s, "Dawn" critiqued brainless consumerism of the 80s, "Day" skewered the Reagan-era military-industrial complex, and "Land" did much to anticipate the rising class consciousness of the oughts. But nothing in that filmography can fully prepare you for Portsmouth's Council of the Living Dead. It is as if Romero's zombies from "Land" have gotten just smart enough to run for office and now sit on the dais, grunting, shrieking, and shedding odd chunks of flesh. Let me be very clear that I am talking about the PCC majority comprising President Joe Robicheau, Vice-President Judi Staven, Liz Pedro, and Paul Kesson. Republican Keith Hamilton and Democrats Mike Buddemeyer and Jim Seveney play the roles of the heroes, trapped inside the mall, fending off the undead hordes. Before they even got to the agenda item on the CRC, the Council majority had clearly staked out the zombie high ground. In a discussion over support for the RI Ethics Commission, Pedro worried that they might use any stronger power against General Assembly members whose crimes were "unintentional." (Hmm. Could she have been thinking of any representative in particular?) Then, Staven presented the Council with a letter of rebuke to the Coastal Resources Management Council (CRMC) over parking signage at the foot of Willow Lane. Despite being told by Ed Lopes, the attorney for the Carnegie Marina, that the letter contained errors of fact, the zombie majority voted to send it anyway. Then it was time for the presentation of the CRC report by Sal Carceller, who chaired of the year-long effort by 30 citizens to analyze the Town Charter and discuss, debate, and propose amendments. Carceller stressed the broad participation: "We had all kinds of people from Portsmouth," he said, including Republicans, Democrats, PCC members, business people, retirees, teachers, parents, a cross-section of the town. And the group, he said, worked thoughtfully, discussed the proposals from the PCC which prompted the formation of the CRC, and approved one of them. They came back with 13 changes, he said, five brand-new bits of language and eight tweaks to existing language. He asked the Council to respect the work of the committee. "We want the Council to seriously support all 13 changes." And that was it for the forces of rationality. Robicheau opened by saying the Council would not vote on any changes, but rather hold "a workshop." And that move was enough to open the door, the classic beat in zombie films where the glass breaks and the ravenous dead storm up to the podium in search of live brains. And nowhere was that search for a pound of flesh more keenly felt than in the remarks of former PCC Vice-President Joe Lorenz. He had three charter proposals that hadn't been approved, and he wanted a second bite at the apple. The CRC membership, he asserted was "29 Democrats and 3 Republicans," leaving the audience to draw the obvious inference. And the Council majority not only listened politely, but basically turned over the meeting to him. They allowed him to introduce a colleague to present his amendment that failed, rather than have him recognized by the Council President. Then they listened to these two jabber and then asked them to send along their failed amendments to the clerk for discussion at the workshop. Carceller and CRC members tried to reason with the Council. Carceller said this risked confusing the issues, since all the proposals had been thoroughly discussed, and would now be presented back to the Council without the context. Member Jhodi Redlich articulated what several CRC members were thinking: "This makes me feel as if all the work we did is discounted." And member Len Katzman was more direct. "There were thousands of [person-hours] by the group, and no item was defeated without hours of debate," he said. "You may as well not have a CRC." Ah, but this seems like the zombie strategy all along. Despite the fact that a Republican council appointed the CRC, it was clear from the start that the PCC didn't like the makeup. That complaint about too many Democrats was voiced by PCC director Kathy Melvin at the first meeting. But with a PCC-friendly majority on the Council, why worry about the process? No matter that a duly-appointed committee of 30 citizens worked for a year on a set of recommendations. We can shamble to the podium and have a little chat, zombie to zombie, and our dead charter amendments will rise from the grave and seek the flesh of the living. If you want to support the work of your fellow citizens, I urge you to come to the workshop on June 18. Our town charter is too important to be left to the zombies. Full disclosure: My wife and I were both appointed members of the CRC. I was thinking about the Walking Dead and the Cranberries the entire time I was writing this. On the agenda for tonight's Town Council meeting is discussion and action on the report of the Charter Review Committee (CRC), and anyone interested in our town's governing document will want to be there. You can read my coverage of the proposals, and rest assured, the PCC will be there to whine about the fact that most of their amendments were voted down after rational and deliberate discussion. Democracy is decided by those who show up. Let's be sure the Council remembers that tonight. Full disclosure: Both my wife and I are appointed members of the CRC.